Are your gutters or downspouts clogged? Gutter cleaning is one of the most essential services we offer! Unclogging your gutters can prevent a whole lot of expensive damage to your home and foundation. Not only that, but gutter cleaning can be downright dangerous without the proper tools and equipment. Gutters are designed to carry the water flowing off of your roof down to the ground and away from your house. 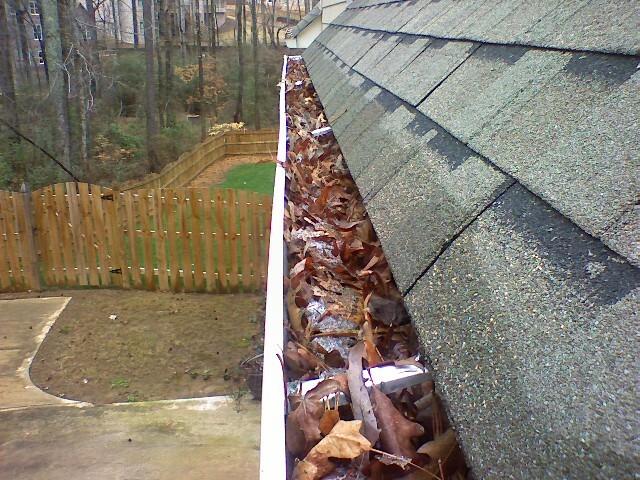 When gutters are clogged this system fails and all sorts of damage may occur. This is not an exhaustive list, but these are some of the most common things you can avoid by getting your gutters cleaned out annually or bi-annually. When gutters are clogged, some of the water simply flows over the gutter straight to the ground, which may cause damage to sidewalks and landscaping. However, often the water flows into the soffits and siding, eventually making its way into the basement, causing water damage all the way down, and if heavy enough, flooding the basement. Did you know that a fungus is the culprit behind wood rot? If water is allowed to stand on your home, the wood rot fungus thrives, and the wood on your house will rot. When water is not carried away from your home’s foundation, but is allowed to settle, freezing temperatures can cause frost heave, which can crack the foundation. Standing water and debris are perfect habitats for insects to breed. Mosquitos carrying West Nile Virus, termites and other insects that damage wood, or even wasps can make their way into your home. We use a leaf blower to clear debris from your gutters, removing any remaining debris by hand to ensure that your gutters are completely clean. We also use a snake to unclog stubborn downspouts. Your gutters will be cleared of all debris or we will return promptly to re-clean them. Guaranteed! 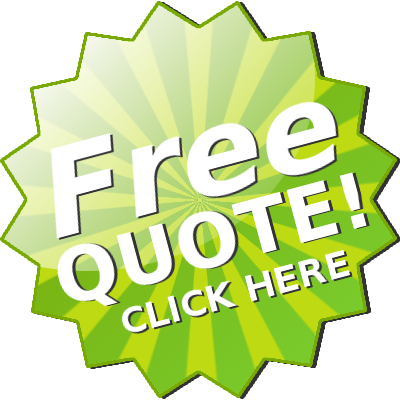 We charge $1 per foot only for the areas where debris is present. There is no need for you to pay for areas that don’t need cleaning! For the safety of our employees, we will reschedule your gutter cleaning if there is snow on the roof of your house. We also might need to reschedule if the water and debris in your gutters is frozen and unable to be removed.